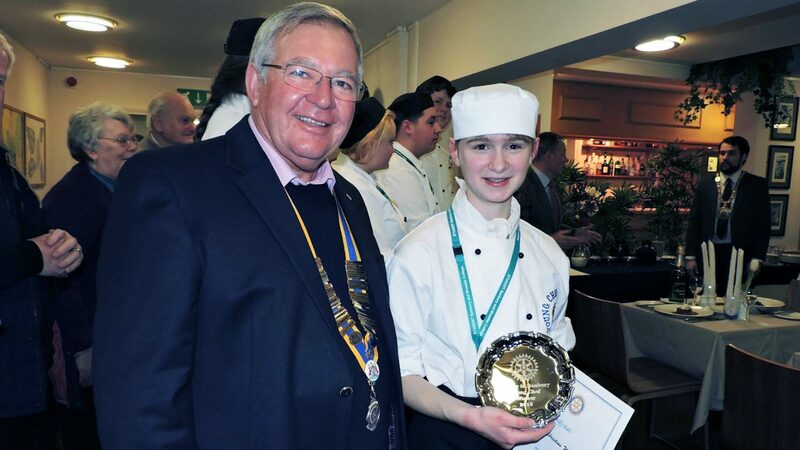 High standards were set at the Rotary Clubs of Banbury Young Chef competition on the evening of Tuesday 20th January, when five young chefs prepared 3 course meals for Judges Jim Cunningham and Joy Webb. The winner Christina Welz’s main course was Saffron scented Monkfish tail, pea risotto, green beans, roasted courgette and cherry tomatoes on the vine. Runner up was Keaton Ward and both are students at Banbury and Bicester College. Many thanks to the college for hosting the event, Bernard Goodchild for organising, Town Mayor Sean Woodcock for presenting the prizes and all the amazingly talented young chefs.